Finding hardwood floor refinishing Sandy Springs residents can trust isn’t as difficult as you might think. At Atlanta Floors, we are a full-service hardwood flooring company that has been serving the metro Atlanta area for more than a decade. By taking a closer look at what we have to offer, it’s easy to see we are an excellent choice for your next hardwood flooring project. Our team is comprised of expert craftsman who are skilled at taking our customers’ visions for their hardwood floors and bringing them to life. We expertly handle both residential and commercial hardwood flooring projects. We adhere strictly to the National Wood Flooring Association guidelines for all of our hardwood flooring services. From solid hardwood and engineered wood to laminate flooring, we can install and care for it all. We offer friendly, attentive customer service; we want to ensure we answer all of your questions and make your entire experience with Atlanta Floors positive. Because we are in the hardwood flooring business for the long run, we continually educate our team members on the latest technology and products to ensure our customers receive the best solutions. If you are a homeowner or business in Sandy Springs, GA, looking for hardwood floor refinishing or installation services, call Atlanta Floors. I have worked with various contractors in the past. This guy is by far the best! He is meticulous and is also very concerned about providing good customer service. I would highly recommend him. Whether you are repairing the hardwood floor in one room or your home, or are installing new hardwood flooring throughout your entire home or commercial space, you will experience the same high-level of care and expertise. We value each and every client, and are only satisfied with a job when you are. When you choose to work with our team at Atlanta Floors, you can know you will get the reliable, high-quality, and affordable hardwood flooring company Sandy Springs homeowners know is second to none. We use only the latest industry standards to ensure our customers’ floors last for years to come. We leverage our expertise to create a competitive advantage that directly translates to reliable, high-quality, and affordable services for our customers. Ready to learn more about the services we offer at Atlanta Floors? Please don’t hesitate to contact our friendly team of experts today. If you would like a quote for hardwood flooring services, connect with us online or give us a call at 404.915.5054. 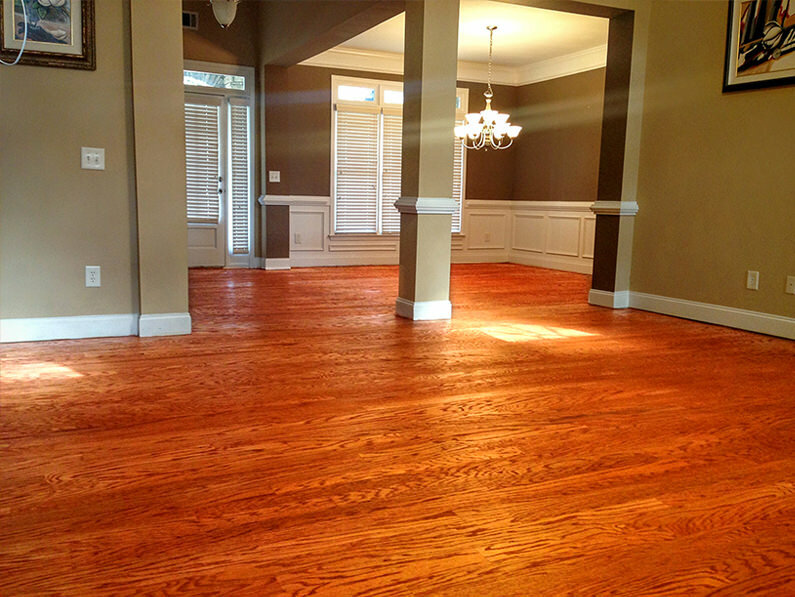 We provide hardwood floor refinishing Sandy Springs relies on.